ASA is committed to the protection of our employees, property and other persons from accidental injury or damage from work. ASA adopts health, safety and welfare as a fundamental business objective. Minimising risk is a core component of reducing injury and ensuring staff productivity. 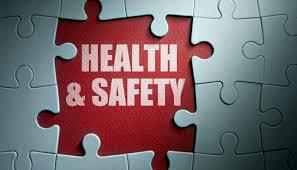 ASA specialist consultants can specify health and safety training to industries so that staff receive the highest quality safety training. ASA recognises safety challenges in environmental and hostile geographical areas, particularly in the mining sector, and aims to make any environment, wherever it may be, as safe as possible. ASA specialists aim to empower staff to recognise the importance of health and safety before injury occurs. Prevention is key, so that downtime can be reduced. Importantly, ASA aims to tailor training to meet operational requirements to understand the most prevalent injuries in each respective sector. Safety should never be an afterthought, therefore ASA aims to embed the workplace health and safety consultations into the fabric of existing operations.